SUNNY SIDE UP creates buzz and excitement that extends beyond Japan! We’re developed an extensive network with PR agencies around the world to take care of your needs for domestic PR and Promotion, as well as campaingns on a global scale.  Contact us to see how SUNNY SIDE UP and our worldwide network can work for you!